Receive Garneau and Strathcona MLS® properties by email with daily updates for any new listings that come to the market absolutely free. This will save you time from digging around the net and gives you advantage of receiving listings as soon as they appear on MLS®. 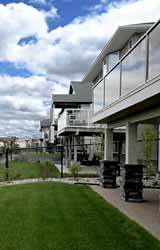 Property Type: Apartment Condo, House, Townhouse, or Half Duplex? "Selling My Garneau / Strathcona Home"
Contact us for a free online or physical evaluation of your home.